Hippotherapy is a physical, occupational, and speech-language therapy treatment strategy that utilizes equine movement as part of an integrated intervention program to achieve functional outcomes. Hippotherapy is performed on the horse. Equine assisted activities and therapies may be on or off the horse depending on the client’s needs. For our most severely physically impaired riders, our therapists are trained in tandem hippotherapy (where the therapist sits behind the rider on the horse). Only a handful of centers nationwide can perform these intense techniques. Equine movement provides multidimensional movement, which is variable, rhythmic and repetitive. The horse provides a dynamic base of support, making it an excellent tool for increasing trunk strength and control, balance, building overall postural strength and endurance, addressing weight bearing, and motor planning. The effects of equine movement on postural control, sensory systems, and motor planning can be used to facilitate coordination and timing, grading of responses, respiratory control, sensory integration skills, and attention skills. Equine movement can be used to facilitate the neurophysiologic systems that support all of our functional daily living skills. A disability does not have to limit a person from riding horses. In fact, experiencing the motion of a horse can be very therapeutic. Because horseback riding rhythmically moves the rider’s body in a manner similar to a human gait, riders with physical disabilities often show improvement in flexibility, balance and muscle strength. 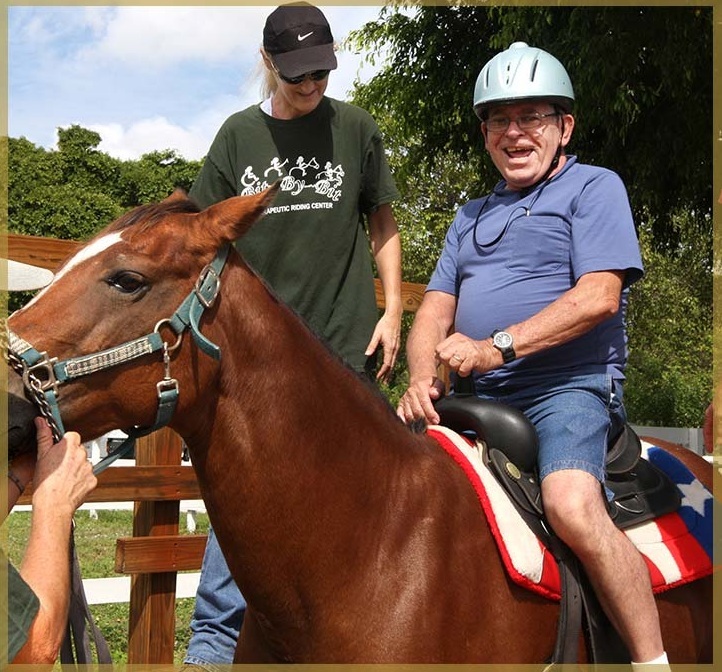 Bit-By-Bit’s Horses for Heroes Veteran’s Program assists military veterans & their families by providing equine assisted activities and therapies free of charge. We strive to support these brave warriors by helping them heal from & cope with the effects of war, injury, and trauma through the gifts of the horse. To accomplish this, we offer rehabilitation services for Veterans of any age who can benefit from being involved with equines. Our partnership with the Miami Veteran’s Administration and Mission United ensures quality, compassionate, and highly specialized help to our servicemen and women. We schedule both groups and private sessions for our veterans. Help move a veteran from the waiting list to the back of a therapy horse. Bit-By-Bit teaches beginner, intermediate and advanced horseback riding classes for anyone who wants to learn how to ride a horse. 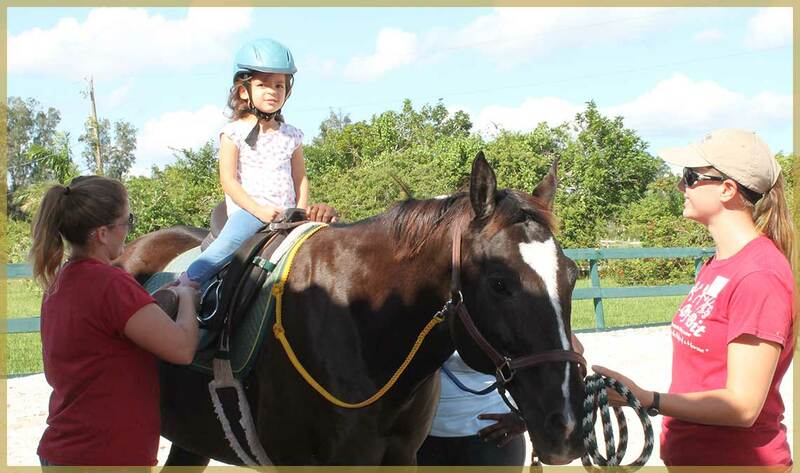 Our typical Riding Lesson Programs are instructed by a highly professional staff of teachers who are there to help you learn. Our horses are all athletes that train daily to make sure you get a quality experience. Our instructors are knowledgeable about the human body and it’s unique relationship with the horse. We offer a variety of adult riding groups. Groups meet weekly and you can join us at any time. Call us at (754) 779-7888 to join in! We can host groups of up to 12 children (minimum 8) per day. 6 years of age and up. No riding experience is required! Nonmounted Instruction: Covers Intro to Equines, Horse Body Language & Safety, Horse Care, Grooming & Tacking, Responsibility! Mounted Lesson: 45 minute lesson on horseback in groups of 4 or less at a time per instructor. Time includes grooming, tacking, mounting, riding, and dismounting. Horse leaders and sidewalkers may be provided for the child depending on age/ability of scout in order to maximize safety. Please note: If you have a child with special needs in your group, please disclose this information at the time of group registration, so that we may make the proper accommodations ahead of time. We reserve the right to modify the activities based upon the safety and ability of any child. We provide all helmets, tack and equipment. Scout must attend wearing proper attire (long pants, closed toe sneakers or boots). Leaders are responsible for providing Equestrian Awards (belt loops, patches etc.). Girl Scout & Boy Scout Council rules and regulations are strictly adhered to. 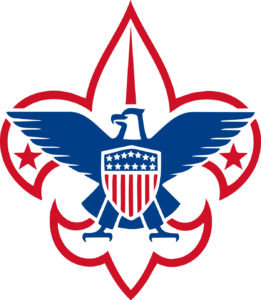 Please have each participant complete a Scout Registration Form PRIOR to arrival. Sorry, we cannot accommodate non-scout siblings or guests during these programs. Payment in full for all workshops is due no later than 15 days prior to event and may be paid by check or credit card.